Welcome to our January second event in 2019! 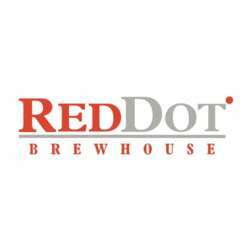 This time new venue RedDot BrewHouse MM will host us. The RedDot BrewHouse is popular for its craft beer, which also won the STYLE WINNER AWARD & DOUBLE GOLD AWARD at the World Beer Awards. They claims that their beer can reduce insomnia due to traditional method which focuses to get natural taste and high quality type of beer. All beer lovers should not miss this great opportunity to taste it! Besides beer, we still have house wine cocktails and soft drinks to offer. Please come to enjoy the relaxed Friday night with our beloved friends! Please note:: RedDot BrewHouse is just next to the Canton Paradise and we reserved a space for our InterNations Members upstairs.